My friends call me Beauty. I currently live in Cape Town and was born in 1965. I have a passion for nursing and love working with elderly people. I see myself as a patient, loyal and easygoing person. I show a lot of empathy towards others. 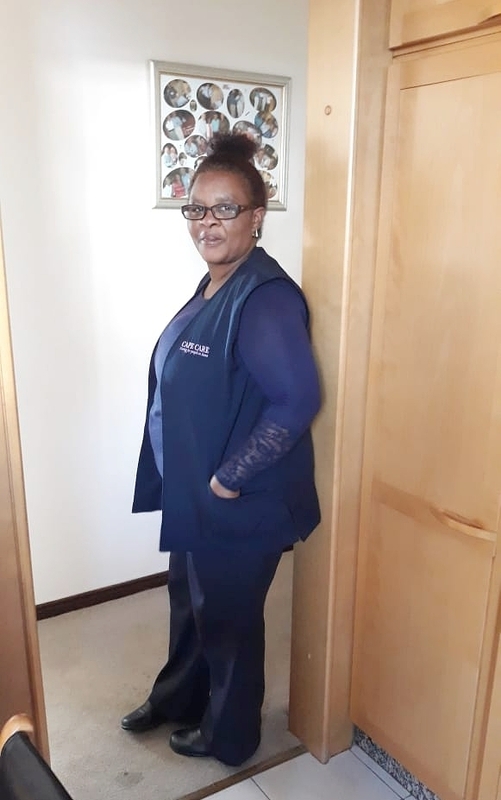 In July 2010 I completed a One Year "Health Care Assistant" Course with Theory as well as practical experience in a private hospital and old age home. In my free time I love to read, listen to gospel music and attend church.